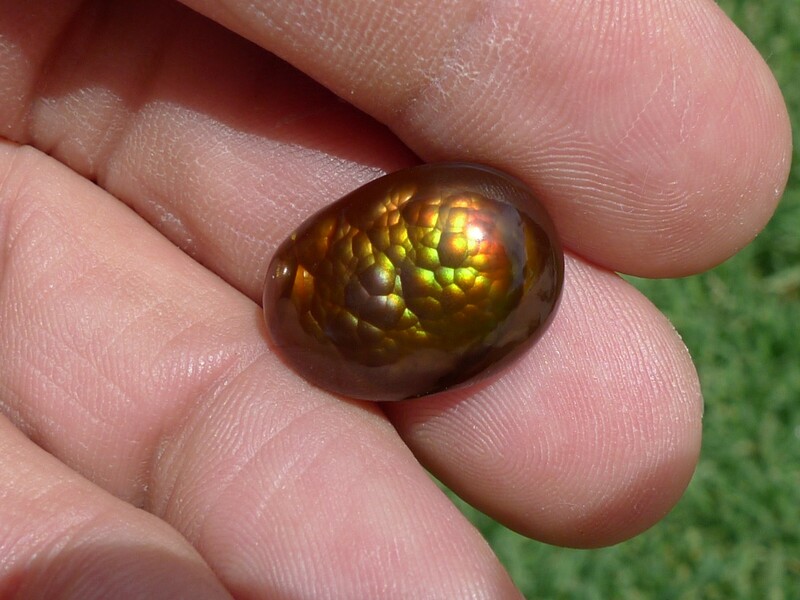 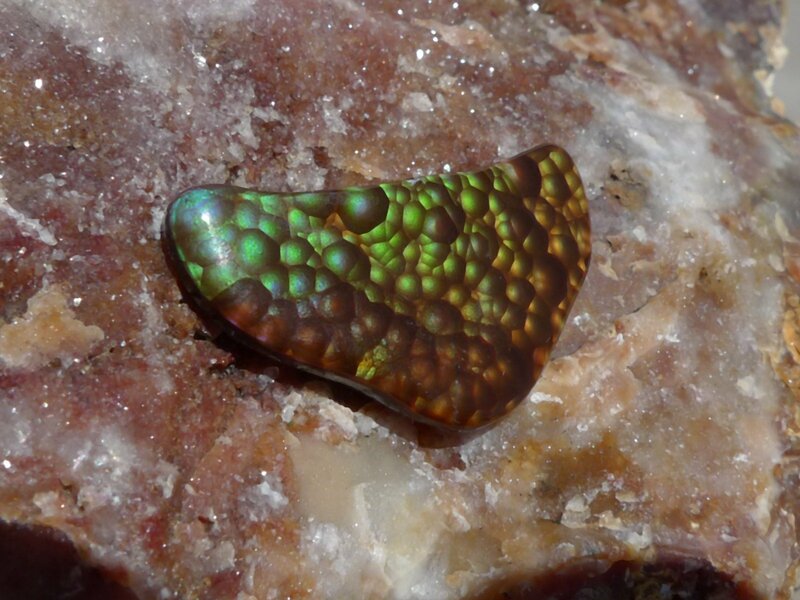 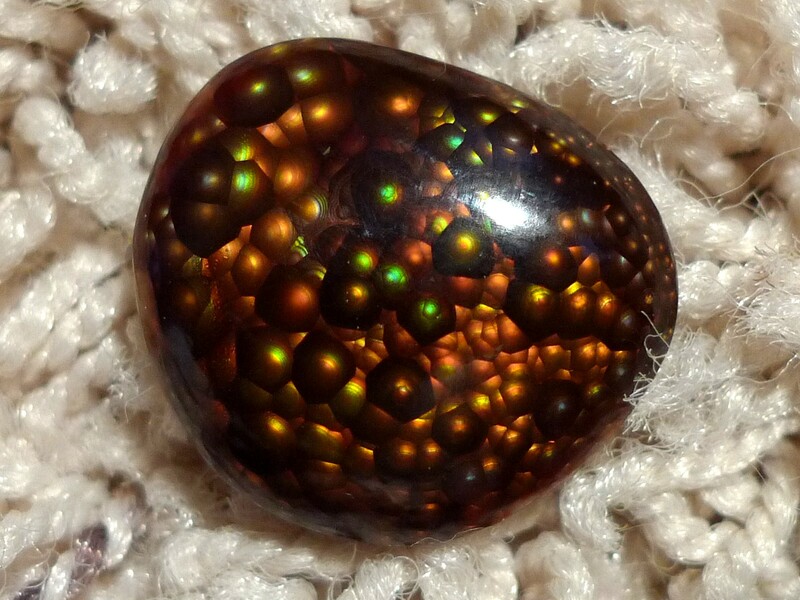 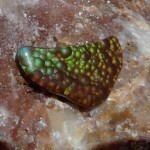 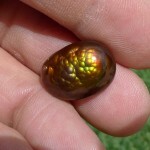 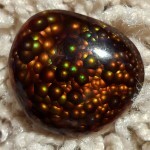 Owner of www.FireAgate.us Providing quality fire agate gemstones, lapidary carving rough, mineral specimens and jewelry for the retail and wholesale markets. 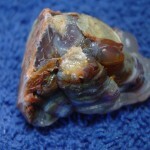 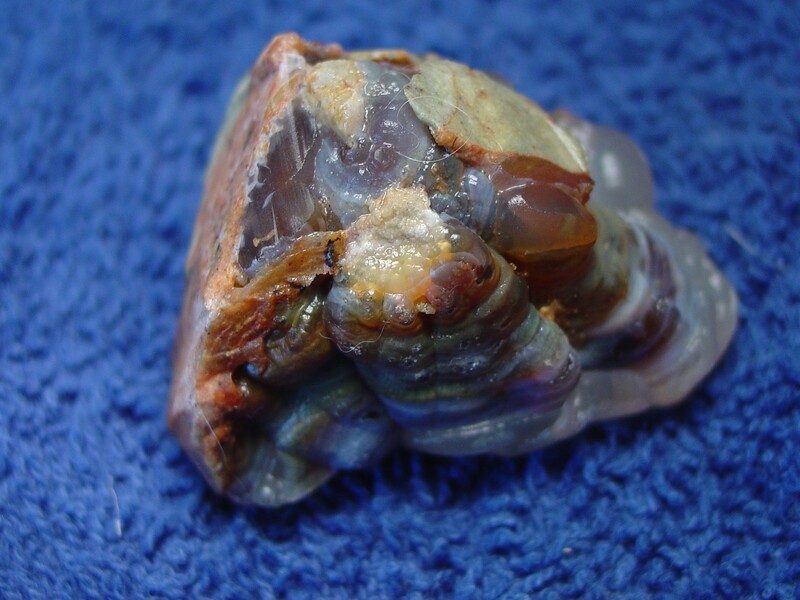 To help educate and bring awareness of Fire Agates to the world. 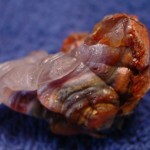 I carefully removed the host rock with my trim saw and now have a much smaller piece to work with. 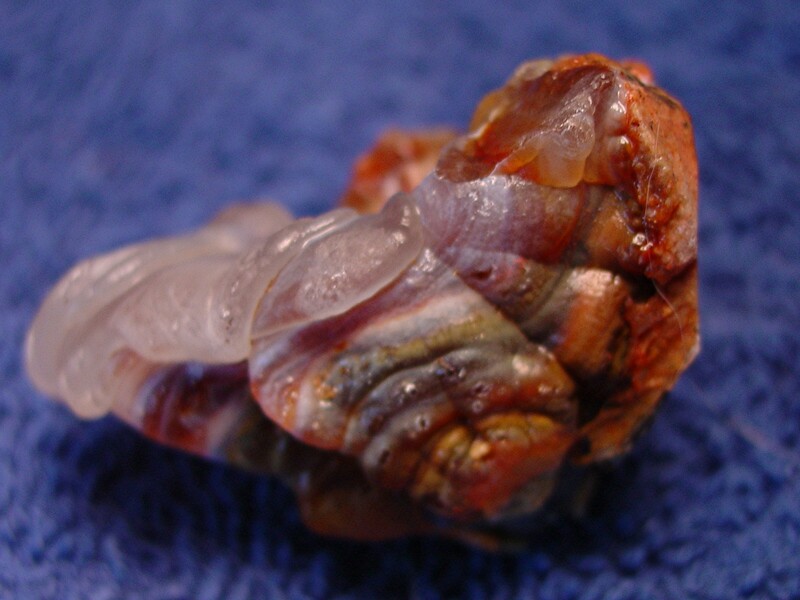 The matrix rhyolite, an igneous volcanic rock, cuts easily with a trim saw.